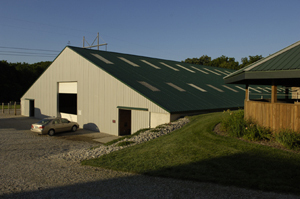 Facilities: Located in Baldwin City, KS on historic 40 acres. 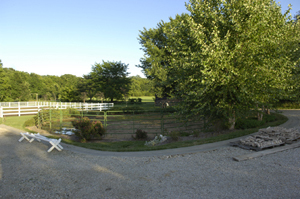 A relaxing, quiet stay surrounded by gorgeous country side. We offer "overnight" boarding. 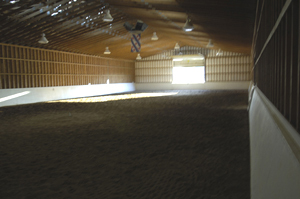 We are a training/breeding facility with 22 -12 x 12 stalls. Each stall has it's own fan, rubber mats and automatic waterers (bucket watering also available upon request). Stalls are disinfected each time. 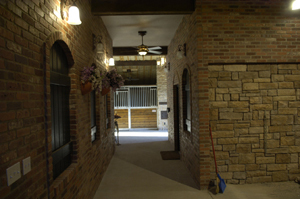 Stallion accommodation. 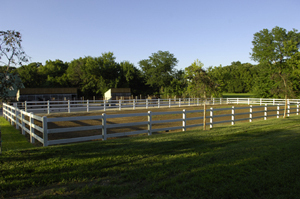 Lighted large indoor arena, large outdoor arena, 50' round pen, wash racks. Bedding and feed available upon request. Owner on premises for 24 hour security. 24 hour arrival/departure. Call for late arrivals by 9:00 p.m. appreciated. For our guest we offer overnight sleeping accommodations for 2. 2 single beds, full shower, TV Lounge and coffee. $35 each. 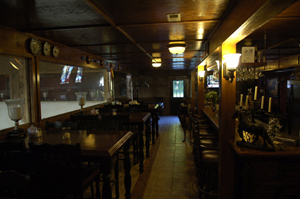 If you'd rather lodge out we are 15 minutes from food and lodging (Lawrence). Easy trailer parking- we have large drive and turn around area for all size vehicles,-- sorry NO trailer hook ups. Current health papers and negative coggins required. A waiver must be signed before unloading. Fees are $35 per day. 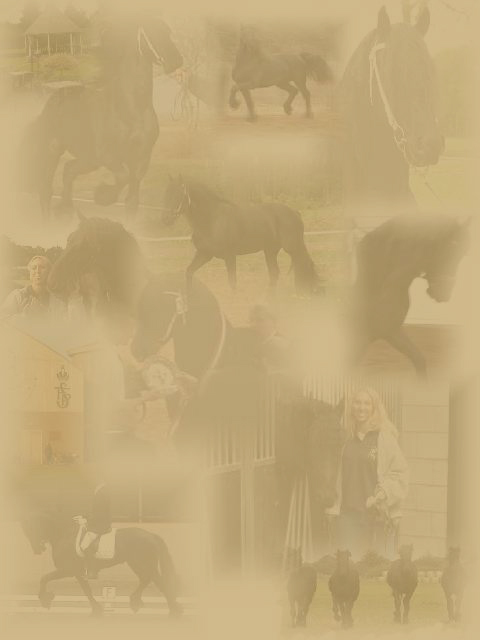 Discount for 4 or more horses. We accept Visa and MasterCard. Reservations appreciated- all calls welcome.